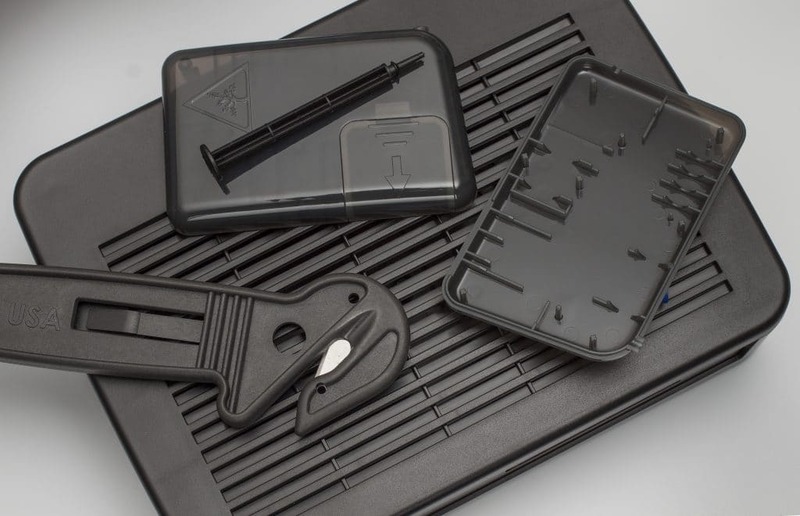 PPIM’s ISO-certified plastic injection molding operation is equipped for complex parts from virtually all thermoplastics available today, including exotic high-temperature resins, which are as routine as polyethylene. Presses range from 28 tons, 1.6 ounces to 500 tons, 72 ounces. Clean cells provide a hepa-filtered environment for medical molding. Our Integrated MRP System monitors and controls our manufacturing process, 24 hours a day, maintaining material traceability, configuration control and production records. Machines are hard-wired to the MRP system for real-time tracking to ensure a highly efficient, quality-driven production process. The benefit is a reliable supply of quality parts at excellent prices. Our ISO-registered delivery system allows custom-tailored production and inspection procedures per unique customer specifications for each part. Having the lowest price does not always mean you get the lowest total cost. Our molding, quality and administrative people know that they are the key to mutual success. We are dedicated to delivering quality parts on schedule.